Quill & Quire is the magazine of the Canadian book trade. The print edition, published 10 times per year (monthly except for joint January/February and July/August issues), includes author profiles, news about upcoming books and developments in the Canadian industry, and reviews of new adult and children’s titles. The magazine reviews around 400 new titles each year, offering the most comprehensive look at Canadian-authored books in the country. 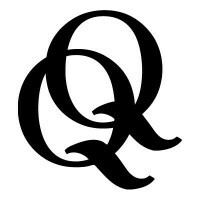 Q&Q also posts regular online updates, featuring up-to-the-minute industry news, regular listings of new book deals, award nominations and wins, personnel changes, and more. Our daily blog, Quillblog, spotlights book-related news in other media with our own context and commentary.